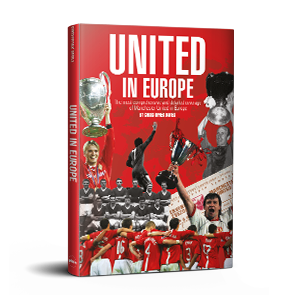 With Christmas fast approaching, it's time to remind Manchester United fans of the fantastic selection of club titles currently available, including the popular releases Building the Dynasty and United in Europe. 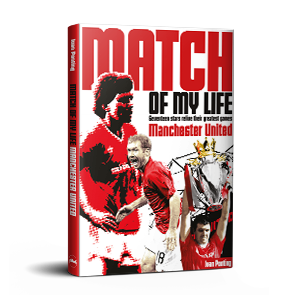 All seven of these books make perfect gifts and stocking fillers for the United fan in your life, from Got, Not Got's rich array of memorabilia and memories to the reminiscences of Mick Duxbury; from Greatest Games to Match of My Life and On This Day. Or why not go ahead and get yourself a festive United treat?. The definitive history of Manchester United's rise from an 'ordinary' side in the 30s to a force in post-war English football. 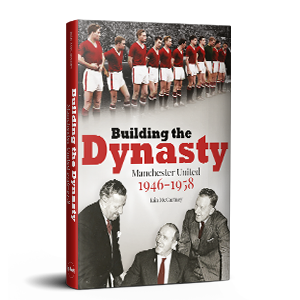 Discover the story of untried manager Matt Busby, Jimmy Murphy and the birth of the 'Babes'. The players, the games, the Building of the Dynasty - and the unfulfilled European dream which became a nightmare in Munich, 1958. Described in atmospheric and evocative detail, here are 50 of United's most glorious, epochal and thrilling games of all! Manchester United Greatest Games offers a terrace ticket back in time, revisiting historical highlights including hard-fought derby matches, landmark European nights, and the club's record-breaking league and cup exploits. 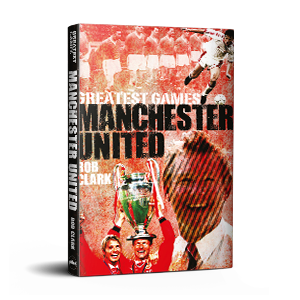 Seventeen Manchester United legends tell the stories behind their favourite ever games for the club – enabling Red Devils fans of all ages to relive these magic moments through the eyes and emotions of the men who were there, playing their hearts out for the red shirt. Includes Bryan Robson, Martin Buchan, Dwight Yorke, Alex Dawson and Paul Scholes. Mick Duxbury was one of Manchester United's true 80s greats with almost 400 appearances for the club. 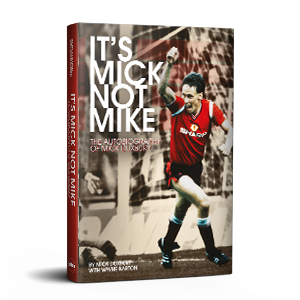 Mick tells the compelling story of an era of changing identity at United, sharing frank and honest opinions on their achievements, why they fell short and what he saw in Alex Ferguson that would ultimately bring the success he so badly craved. Manchester United were England's first representatives in the European Cup back in September 1956. No English club has played more games in Europe and FIFA's global club competitions than United. United in Europe gives you more details, more names, more compelling stats, more irresistible facts than ever before. 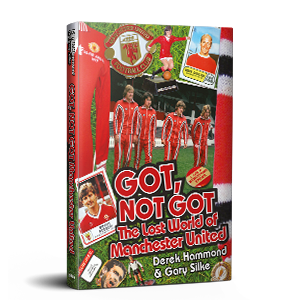 Got, Not Got: The Lost World of Manchester United is an Aladdin’s cave of memories and memorabilia, guaranteed to whisk you back to Old Trafford’s fondly remembered ‘Golden Age’ of mud, mavericks and magic. Here’s Best, Coppell and Hughes on stickers and in comics, United Subbuteo and petrol freebies, league ladders, big-match programmes and tickets, and much more. 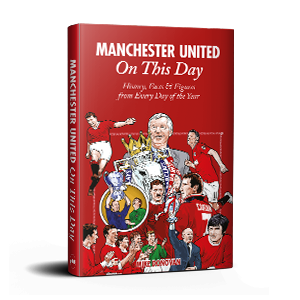 Manchester United On This Day revisits all the most magical and memorable moments from the club’s distinguished past, mixing in a maelstrom of anecdotes and characters to produce an irresistibly dippable diary of Red Devils history. From Newton Heath to Treble triumph via Munich and the 1968 European Cup, there’s an entry for every day of the year.